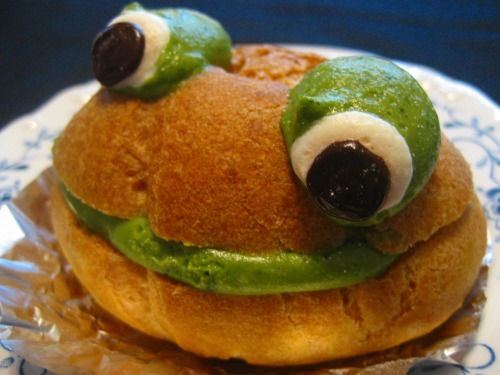 This is a Froggy Cream Puff form “Maison grace Ange“. It’s not only fun-looking but also the green tea flavored Cream Puff is very tasty. Their all sweets are additive-free and no preservatives.